Skin-irritants are always around, and often you’re not quite sure what they are exactly you just end up being the unsuspecting victim of a sudden, ugly, and angry rash (sometimes worse). My skin has thankfully been pretty resilient to most fabrics and fragrances that are placed close to it, but one thing I do experience once in a while is a rash from sweating it out. Perhaps it was the lingerie I used at that particular time but I end up with almost a milky way of angry red (and very itchy) bumps along the lines where my intimates border. And I do have to say they are terribly uncomfortable when they are at their worst. You definitely do not want to scratch in those areas in public even if your body is screaming for it. Trying to stay on the path of all things natural I’ve tried some homeopathic remedies (ingested) to calm down the burning and itching and they would work for a time, but when they would wear off the itching would start again. Plus, the inflamed areas of my body were in no way diminishing, I would then slather on the richest moisturizers I had on before dressing up just to make sure I would soften the area as much as possible, preventing me from wanting to scratch. When I was younger I would even scratch til it would bleed (I know, TMI at this point but I’m sure some of you can relate.). I was very close to asking for something more industry standard (read, enough chemicals to build a bomb with) when I took one last look at my beauty stash in my bathroom. Throughout the years I have been fortunate enough to have been gifted with product upon product to try and test. So much so, that many have remained unopened (once I found something that worked, I pretty much stuck to it) or have been passed on as gifts to very appreciative girlfriends. One oil to rule them all. 100%. Among the many product lines I have received the gifts from VNM Naturals were standouts. Their emu oil ingredient which was infused in most of their products had already been many a testimonials subject, plus, I was a fan of their Smooch Lip Detox balm. Something I would put on and actually enjoy before my favorite lipstick because I felt like a massage on my lips each time. 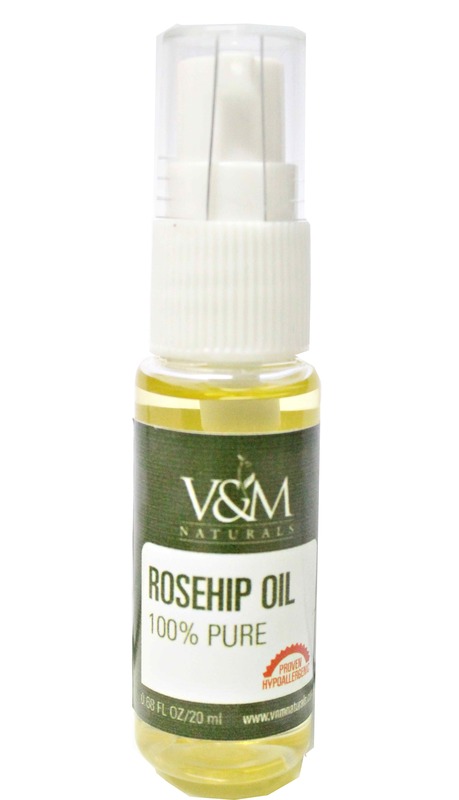 This time though, a small unused bottle of their Rosehip Oil caught my attention. I flipped it around to read what it was for and it said it could cure dermatitis and eczema as well as diminish the appearance of scars (even surgical ones) and age spots. I thought, why not? I wasn’t sure what my rash fell under but it wouldn’t hurt to try. I rubbed some on and hoped for the best. I’m not quite sure exactly what happened and in the time that it happened but it seemed within 48 hours I noticed I wasn’t feeling the itching burning sensation as I did several days before. When I checked in the mirror, I literally had to take a step back as the rashes had turned from bright red to a light pink and the bumps had almost flattened out. I guess the product worked really fast because I had almost forgotten about the rash! I am going to estimate that it took less than a week for the rash, the bumps and even the discoloration to be completely gone. I was floored. I was also ecstatic that I had uncannily found a product that I could use for my skin emergencies. At Php 800 for 20ml it was certainly a worthy investment, that was small enough to carry with me especially when I traveled. Hats off to this particular product, if you’ve got a first-aid kit at home, consider putting this little gem of an oil in your permanent beauty emergency one!